How Far is Zarine Grandeur? 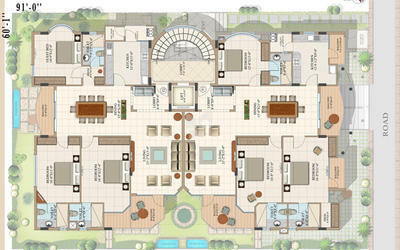 Imperium Zarine Grandeur is one of the super luxury apartment being developed by Imperium Constructions. The apartment is located at the heart of the city Bangalore. The project offers 3BHK apartments at very competitive and affordable price. It is well planned and is built with all modern amenities. Seismic zone - II & wind speed of 33 mtrs per second Complaint RCC framed structure. 8” solid block & 4” solid block masonry. Elegant entry lobby with granite flooring. Interiors: Premium plastic emulsion paint with flawless finish. Italian Marble for Living, Dining, Bed room & Kitchen. Sanitary fittings with Fantini/ Toto/ Hans Grohe for faucets. mixers, diverters, showers. Duravit/ Toto equivalent, make wash basins & water closets/ commodes. Health faucets in all Bathrooms. Provision for Exhaust fans in all bathrooms/ Toilets. One wall mounted ECW in each toilet. All door frames will be of solid teak wood. Granite platform, Stainless Steel sink with drain board. Provision for water filtration unit. Provision for washing machine or dishwater in utility area. Premium wall tiles and granite anti skid finished floors. 8 to 10 KVA power will be provided to all flats. Fire Retardant Electrical wires of Finolex or RR Kabel make. Elegant designer modular switches from prominent manufacturers. Miniature, circuit breaker (MCB) for every room located at the Electrical distribution box within each flat. Earth leakage circuit breaker (ELCB) for each flat. Telephone & TV points in all bed rooms & living room. Automatic passenger lift of Kone/ Schindler make with SS vandal proof panels and security systems. Electronic security will be provided with video camera/ intercom to all flats connected to security Cabin with cat 5 cabling / 4 pair. Excellent Ventilation and light for all flats. Water supply and with two under ground sumps for corporation. water & bore well water with required pumps two overhead tanks for distribution. One Car park per apartment. Designer main gate with ornamental finish. Imperium Construction specializes in developing classy properties in elite locations with a persistent focus on locale, quality and on-time delivery. Imperium projects are considered a real delight for consumer and an amazing opportunity for investor. With projects in Cunningham Road, Sadashivnagar, Indiranagar, Queens Road, Benson Town, Frazer Town, Langford Town and alike, things cant be more central and attractive. Imperium Constructions has over 12 years of experience in Commercial and Residential Real Estate, which includes Planning, Architecting, Construction and Interior Designing. Imperium has catered to numerous small to midsized projects which amounts to over 500,000 Sq. Ft. The Imperium lead team comprises of several professionals which includes Architects, Designers, Planners and Project Managers. 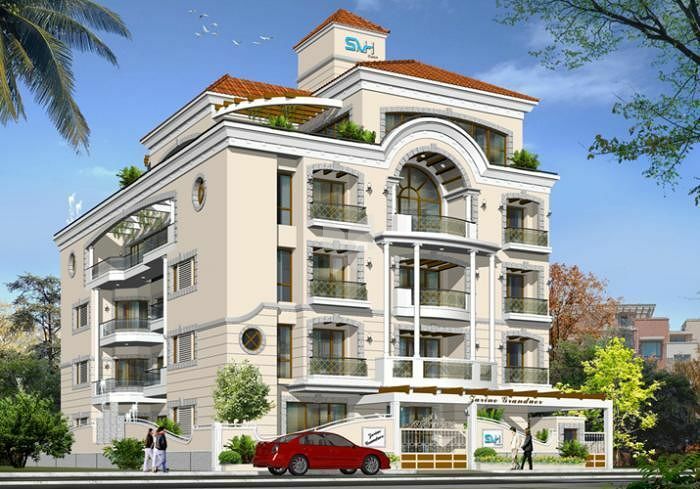 In various assignments Imperium has worked with prestigious architect firms like Srinivas & Khan. Come and explore more with Imperium.